The Dive Flag has become the symbol for the exciting sport of scuba diving in recent history. This unique flag is recognized by many but is more then just a symbol for scuba diving. 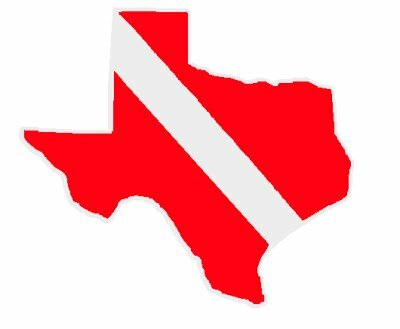 In most areas, local laws and policies require one most use a dive flag while diving. Here in the United States, the dive flag is a red flag with a white diagonal stripe running usually running from the top left corner to the bottom right corner. Dive flags which are usually vinyl, are mounted in a variety of ways, whether it be on the boat your diving from or the standard fiberglass staff where the flag is stiffened with a wire so that it stands out from the staff at all times. When diving without a boat the flag is usually held afloat by securely attached float. There are a variety of other attachments that secure a dive flag to an inner tube and other buoyant items. Whatever way you choose to mount your dive flag, you must be sure it clearly visible to other boaters. Laws requiring how far boats must keep from dive flags vary from state to state and internationally but distances usually range from 50 to 150 feet. Divers are often required to surface within 25 feet of the flag, and not doing so could be fatal to the diver. If your diving area is larger then the distance allowed by law, multiple dive flags should be used that are separated then no more then 100 feet apart to ensure boaters can see and obey the laws. Internationally, the alpha flag, a swallow-tailed blue and white flag, is used when diving from a vessel. The dive flag is not only one of your cheapest purchases in scuba diving but also one of your most important.